We are the manufacturer of HO Scale brass model trains, passenger cars, and a few locomotives. The Coach Yard has always had a tradition of "striving for excellence". The mission of the Coach Yard is to model all the premier trains of the United States Railroads. This dedication has produced many excellent models of Pullman Company, acf, Budd mfg and other builders who built the passenger equipment for the railroads. We do not sell direct to the Modeler. Coach Yard products are available direct from select Hobby Shops, Model Railroading Stores and Model Train Dealers only. The primary builders used by The Coach Yard are Sam Model Company of Korea, and Apex Model Co. - SamMohuyng Models retired in 2018, Samhongsa & Co., Ltd of Korea, retired in 2004 , and Kumata & Co., Ltd of Japan retired in 1999. 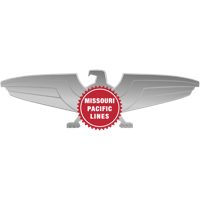 Products bearing Union Pacific, Southern Pacific, Chicago and North Western, Denver & Rio Grande, Missouri Pacific, St. Louis Southwestern, Texas & New Orleans, and SSW, are made under trademark license from Union Pacific Railroad Company. 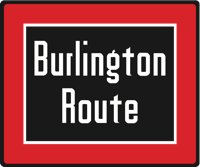 Check the catalog for additional photos of equipment being added regularly! Want to find any Coach Yard product past, present or future? Click HERE or HERE for other pictures of the Mission Road Coach Yard taken in the early 50's by Lou Cross.